Just because it’s the most wonderful time of the year, doesn’t mean that the holiday season is all holly and lights. Holidays provide an easy way to see how our lives have changed (or haven’t changed) from year to year. They can stir up feelings of sadness, loneliness, stuckness, and anger. Sometimes, they’re just downright stressful. And that takes a toll on your mental and physical health. That’s why the greatest gift you can receive this year can’t be wrapped in a bow or put under a tree. But it is one you can give to yourself. As we discussed in the last blog post on holistic health, a more comprehensive view of health care should address the whole person – body, mind, and spirit. Self-care is a mode of healing that you can provide to yourself and that can improve your health holistically. Self-care is about knowing what you need and taking the time to do those things that provide you with meaning, comfort, or joy. It’s about taking care of yourself and being as giving to yourself as you are with others (especially this time of year!). It’s truly about self-empowerment! Need a list to check twice? 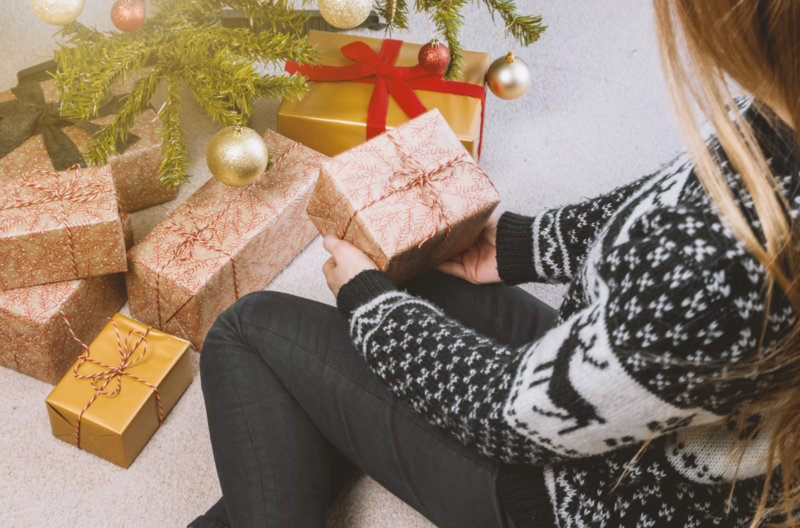 Here are some ideas and habits for treating yourself this holiday season. The mental and physical benefits of a mindfulness routine are well documented. New research supported by the National Center for Complementary and Integrative Health and published in the journal Spine even shows that mindfulness-based stress reduction (MBSR) can be a cost-effective treatment for chronic low-back pain. Starting your routine is as easy as taking a deep breath. Then taking another. Then doing that for 1 minute. I teach all my patients a qigong breathing exercise that brings this to light and serves as a reset for all mind-body systems. You can’t pick your family, but you do hopefully have control over who you spend time with. Take the opportunity to grab a cup of joe or tea with an old friend or go for a walk with a close family member. Perhaps you even choose to spend some quality time with yourself! This doesn’t have to be to the beaches of Tahiti. Perhaps it’s into a really cute cat video on YouTube or into a good book. Sometimes our bodies need rest, sometimes our bodies need movement. Take a moment to reconnect with your body and find out what it needs. A really great workout at the gym or even a 20-minute moderately fast paced walk can be just as rejuvenating as an extra hour of sleep. And if you feel like you need a little extra help, we’re open for business until December 23rd and reopen December 27th. Acupuncture can help treat stress as well as pain. But if we don’t see you until the new year, from our practice, happy holidays to you and yours!